Arista black and white chemicals were created after years of research and input from our loyal customers to create a superior line of photographic chemicals which yield tremendous savings. 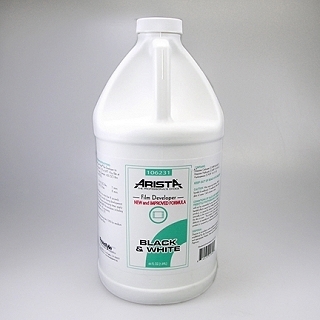 Arista Liquid Film Developer is a fine grain liquid developer designed for one-shot use. Gives excellent tonal rendition, convenient to mix and highly economical. Can be diluted up to 1+14 for greater sharpness.